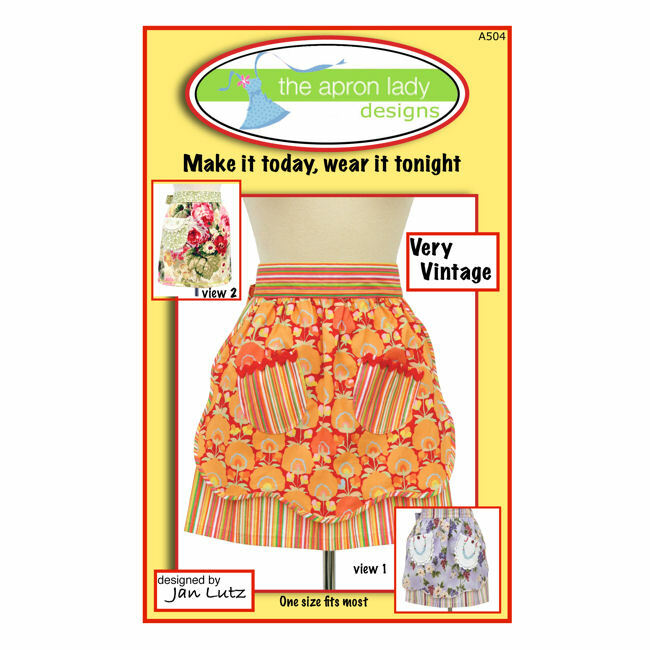 The Very Vintage Apron Sewing Pattern from The Apron Lady Designs is fun and easy to make! This layered apron features a scalloped overlay and extra long ties that can be wrapped around and tied in front. Apron pattern size is One Size Fits Most. Diagrams and complete instructions included. Designed by Jan Lutz. Includes full size pattern pieces.